Build places so appealing that families are attracted to them for generations to come.. This idea of permanence, of building something that lasts for generations, has directed Cooper Communities, Inc.
since its founding in 1954. John A. Cooper, Sr. cared for these communities, nurturing them into appealing places to live and raise families. It is only fitting that this family-oriented business ethic would be passed along to his own family members. John A. Cooper, III, representing the third generation of the Cooper family, is now at the helm of the company..
a community whole. 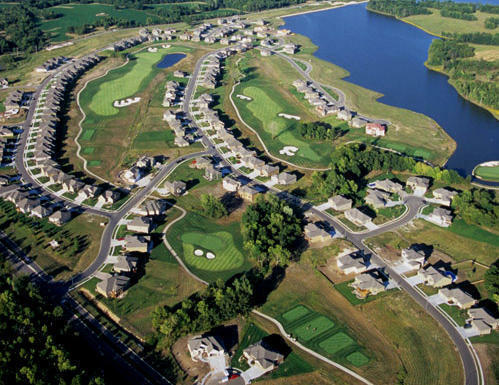 More than 95,000 acres have been developed and includes more than 26,000 homes. This figure increases by more than 1,300 new home annually, ensuring continued growth and prosperity..
Family. Generations. Permanence. These are the promises and passions we bring to each new development.